Iceland has become the truffle of travel. Once a dinner party talking point that only your smuggest friends had experienced, now it’s taking up half your Instagram feed. The abundance of $99 flights to the North Atlantic’s natural wonderland has made it an international hotspot for intrepid Americans, and for good reason. The unearthly landscape of black volcanic rock and steam-billowing geysers is something you won’t see anywhere else, except possibly a particularly imaginative '80s sci-fi B-movie. It’s an experience that’s well worth the five-and-a-half-hour flight from the Northeast -- although, at these prices, a few hours of free nuts and sodas almost pay for themselves. 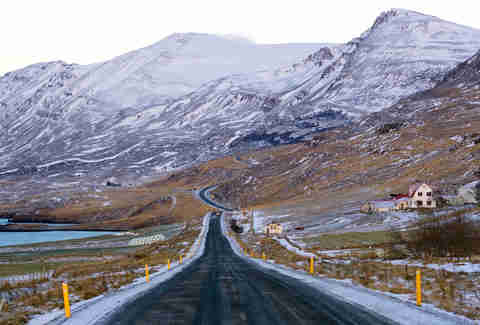 But Iceland, like anywhere, has its own quirks, and you’re better off swatting up on them before you go. From timing your tours to managing your (inevitably sizable) budget, here are some tips for your trip. 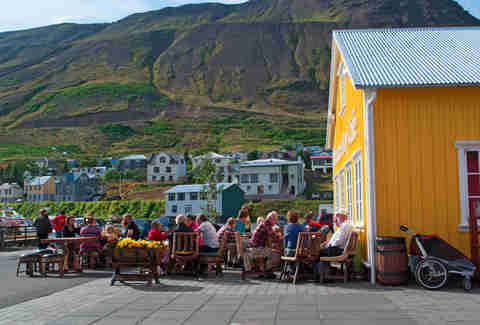 Heed this warning, aspiring Iceland traveler: Your first day’s food might end up costing more than your plane ticket. Yes, there are ways to save (more on those later), but eating, drinking, and doing pretty much anything here is going to give you a nasty case of sticker shock. Let’s start with the grub. Breaking it down by meal, a basic breakfast of black coffee and a muffin will run you about $12. Try and save on lunch and hit a gas station Subway or Serrano (the Icelandic take on Chipotle), and you’re looking at $18 with no sides. Dinner, even in a casual restaurant, will be $40-$50 a head, plus drinks. The grocery stores aren’t as gobsmackingly expensive, but still figure a couple hundred dollars for a week’s worth of home-cooked meals -- more if you like meat other than fish. Now, a sobering thought: Even the domestic Gull beer will run you $8 a pop at dive bars or $10 at plusher places, while no-frills liquor is closer to $18. By the fourth day we were so conditioned to high drink prices a $25 pitcher seemed like a great deal. So if you came to rage, be ready to pay for it with more than just a hangover. Mainstream tours and activities are at least $100 each, but then who wants to do mainstream tours and activities anyway...? The scenery in Iceland is, without question, its biggest draw. So getting out of the city to see the rightly famous Ring of Fire, with its geysers, waterfalls, and sprawling lava fields is a must. What’s NOT a must, is paying upwards of $150 to sit on a bus with a bunch of people your parents’ age. Rental cars to the rescue! Firstly, they’re affordable, especially by Icelandic standards -- you can get decent wheels for about $50-$60 a day, plus gas. Even better, you can see the sights in your own time, rather than getting herded around like high-functioning kindergartners. OK, so there is a nicely paved Ring Road around Iceland, but you’re not going to see the best of the island by sticking on it. Perhaps the coolest thing I saw was a park called Gjain, a tropical oasis in the middle of vast lava fields... and only accessible by a road seemingly straight off the surface of Mars. And would you traverse the surface of Mars in a Yaris? Of course not. So, consider an SUV -- many of the trails and roads to the most remote sites require one. Failing that, you can get away with a station wagon (we did), but if you value your spine, don’t hire a piddly economy car. It might cost an extra $10-$20 a day, but springing for a larger car with a little more ground clearance will open up your options considerably. Funny thing about $99 flights... people take them. Especially, it seems, Americans -- 445,000 took the trip last year, and that’s to an island with only 330,000 residents. When I went, WOW Air had just started a route from San Francisco, and during the NBA Finals, every bar along the Laugavegur trek was wall-to-wall Warriors fans (and it wasn’t just Icelanders jumping on the Steph Curry bandwagon). That’s not to say you won’t go out and meet locals and Europeans, but the vast majority of folks you meet will sound not-so-strangely familiar. Do chat up the locals, though: They’re low-key hilarious, and love to welcome visitors. The secret to a happy life is having appropriate expectations, so remember that just because you’re in town, doesn’t mean the northern lights will play ball. First up, if you planned a trip in summer, you can leave the tripod at home -- the perpetual daylight means it’s impossible to see the effect. Your best odds are between November and February, though any time from September to mid-April gives you a sporting chance. But seeing the Northern Lights requires more than just darkness; you also need clear skies, electrical activity in the atmosphere, and a nice view of the sky to catch them in the act. Iceland’s cloudy skies aren’t exactly the Sonoran Desert, so the odds are lean. 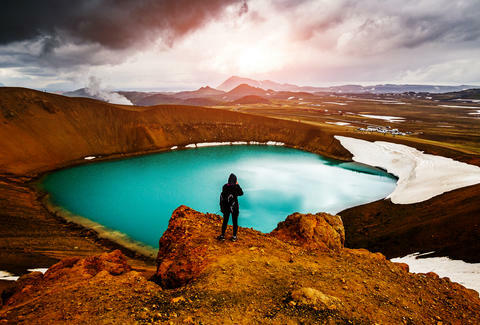 Luckily, Iceland is stocked with other cool stuff (think volcanoes, glaciers, and waterfalls), so no matter the weather, you can expect to see some of this here planet’s most spectacular scenery. 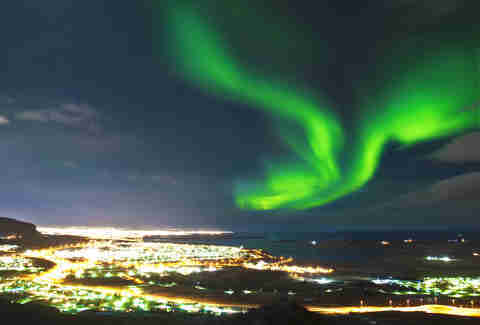 And if you get a little dose of the aurora borealis, consider it a bonus. The good news is you’re going to get a spectacular view of the intergalactic landscape of Iceland as soon as you step out of the airport. The bad news is, you’ll be getting it for a while. Keflavik International Airport is about a 45-minute drive from Reykjavik, and sets you back in the neighborhood of $120 by cab, or $45-$60 on the shuttle bus. 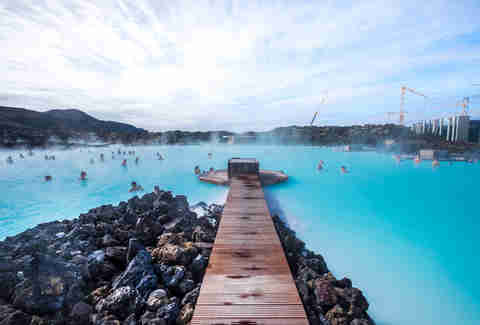 If you arrive early in the morning, as many US flights do, your ride from the airport is the ideal time to hit Iceland’s single biggest blockbuster, the Blue Lagoon. These natural hot springs surrounded by lava formations are beautiful and eerie -- but considerably less so when five buses of tourists show up. The Blue Lagoon opens at 8am and most airport shuttles stop there en route from KEF to the city. Taking advantage of your early start will not only get you there before the crowds, it’ll save you time and money later in your visit. And when else will you get to drink a beer in a hot springs at first thing in the morning? If you’re going in winter, you can skip this section -- you’ll be in twilight or darkness most of the time, so you’d better save your battery for your torch app. During the summer, however, you will literally never be in the dark, and may well find yourself at an outdoor bar in broad daylight, look at your watch, and realize it’s 11:30pm. OK, so it’s an insomniac’s nightmare (if they can have them), but it does allow you to make the most of your trip. Just think, you can sleep in, have breakfast at noon, then maybe think about starting your day around 2pm. It’s like college all over again. Because the sun stays up for so long, starting a road trip to the Ring of Fire at 4pm is perfectly reasonable, and you’ll get to the sights just as the tour buses are leaving. Jet lag? What jet lag? Operate on a later schedule, and you’ll never have adjust for the time difference (four hours from the East Coast). And -- bonus -- you can blow up your friends’ Instagram feeds while they’re still awake. Matt Meltzer is a contributing writer to Thrillist. See his Icelandic adventures on his Instagram @meltrez1.